Di Fabio Estate specialises in small-batch boutique winemaking for some of Australia's leading wine labels. Our winemaking ethic is centred around personalised service to ensure the best possible outcome. Our attention to detail works to exceed our clients' expectations. Offering a complete service, we oversee production from crushing right through to bottling. 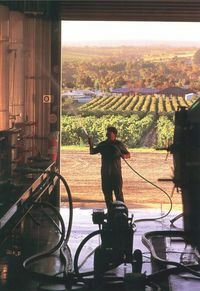 We pride ourselves on our hands-on and innovative winemaking services, with our owner-winemaker providing attentive and individualised assistance in a setting that favours good, old-fashioned winemaking techniques. This is what differentiates Di Fabio Estate Wines from the rest.